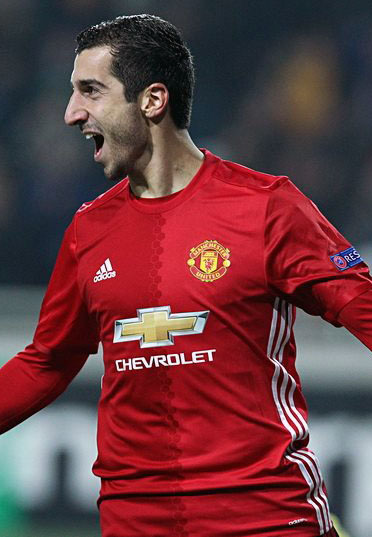 It’s been a disappointing few weeks for Henrikh Mkhitaryan. The Armenian seems to have taken over from Luke Shaw as Jose Mourinho’s scapegoat, being dropped from the squad for the recent 4-1 win over Newcastle. Despite having chipped in with five assists so far this season, Mourinho has generally preferred Juan Mata, with fresh questions being raised about Mkhitaryan’s future at Old Trafford. The BBC report that his former club Borussia Dortmund have expressed an interest in re-signing their former Player of the Year, and they point out that BVB have already brought back Shinji Kagawa from the Red Devils. “He started well this season but his performance levels, goalscoring, assists, high pressing, bringing the team with him as number 10, were decreasing step by step,” Mourinho recently said of him, per the same source. United’s interest in Antoine Griezmann and Gareth Bale will only serve to put the attacking midfielder under more pressure. It seems unlikely that they would sanction his departure until a replacement is brought in, but when that happens, under-performing Dortmund may wish to make their move. Peter Bosz finds himself under huge pressure after the capitulation against Schalke. Bild suggest he has run out of patience with rebel striker Pierre-Emerick Aubameyang following his red card in that game and if the Gabon international is sold in January, the Bundesliga outfit could turn to a big name to placate their fans.